The Twig may look like any clothing boutique from the outside, but inside it is a magical place for children in foster care. Alexie, a rising high school freshman, has been shopping at The Twig, in Venice, Florida, since she was put in foster care at the age of 11. Alexie, 14, of Palmetto, Florida, has been shopping at The Twig for nearly three years. 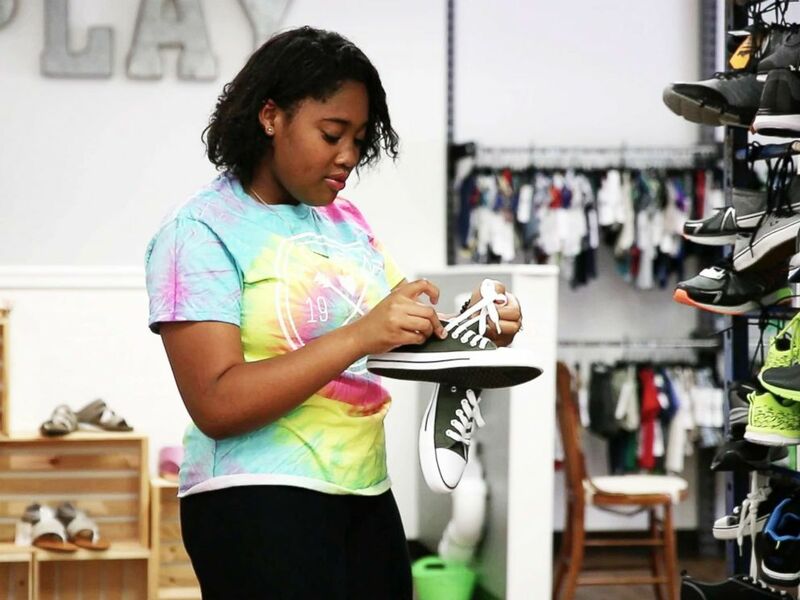 The clothing store, run by volunteers, opens its doors twice a month, and by appointment, to give children in foster care a shopping experience like none other. The children are greeted by personal shoppers who let them pick out and try on whatever they want in the store. Each child in foster care is allowed to visit once a month and walks away with around 10 items of their choice, all at no cost. Alexie, 14, shops for shoes at The Twig in Venice, Fla. Without The Twig, Alexie and children like her in the local foster care system are often left with only the clothes on their back or what their foster parents can buy them with the funds they're given, which can be as little as $60. "A lot of times the kids don’t come with anything and, depending on the age, we’re allotted a small allowance to get them shoes and clothes, but it never seems to be enough," said Lynndsey Wilson, Alexie's foster mom, who is in the process of adopting her. "That’s just the one time to get them what they need, and it’s never enough." Clothes and accessories for girls are pictured at The Twig. Wilson -- who, with her husband, has fostered 13 children over the past two years -- makes the 40-minute drive from their home in Palmetto, Florida, to The Twig every month with Alexie. "She absolutely loves it there," Wilson said. "It’s a bad month if we don’t go." The Twig, which opened its doors in May 2016, is about much more than just the clothes it offers, both Wilson and Alexie said. The store is the brainchild of Dianne Weed, a mother of four daughters, including one she and her husband adopted out of foster care at 5-months-old. Dianne Weed is the founder of The Twig. 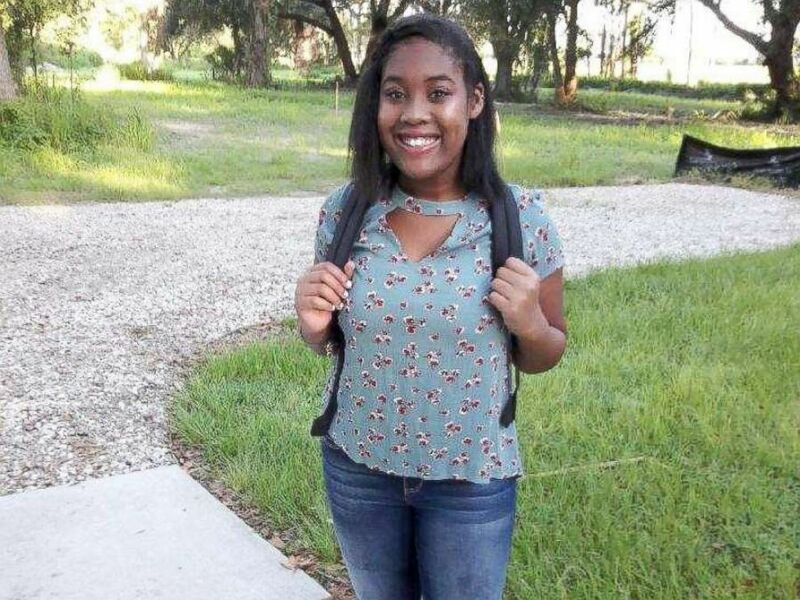 When Weed's adopted daughter Ashlyn was in her senior year of high school, Weed said she began to think of what Ashlyn's life would have been like had she stayed in foster care. In the middle of shopping for senior year activities like dances and award ceremonies with Ashlyn, Weed had the idea to open a store where only children in foster care could shop. "I pitched the idea to my husband in February and we opened our doors in May," Weed said. "Once I had the idea, things just started showing up at my door and the community has continued to step up in a really big way." Weed's mission has been to give children in foster care not just a place to get clothes for free, but a place where they are loved and where their opinions are heard and valued. "We have five dressing rooms in the store and they are there to give the kids a choice," she said. "At a time in their lives when they don’t have much control over anything, this is a time when they can make choices for themselves." In addition to new clothes, each child goes home with a book every time they leave The Twig. The children, who range in age from newborn to 17, also leave their mark at the store. 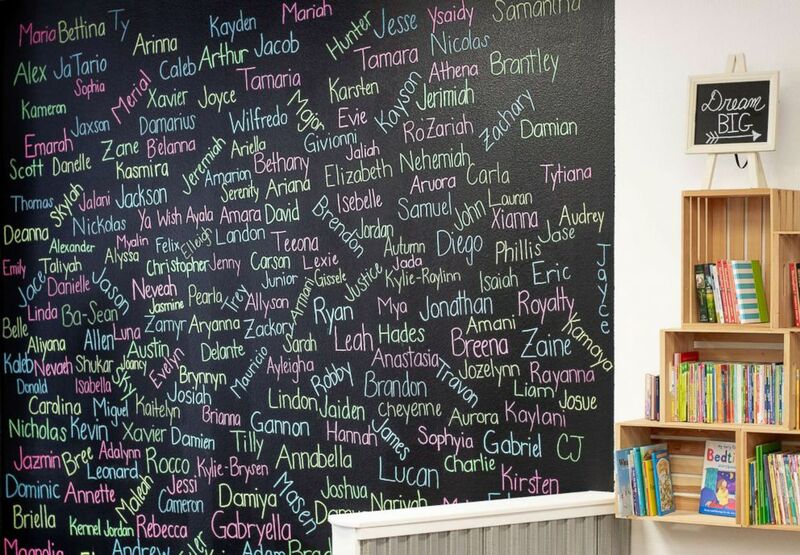 The first name of every child who visits The Twig is hand-painted on a wall near the front of the store. Shoppers at The Twig write their names on a board in the store. "The volunteers are always there to help and make the kids feel important," Wilson said. "For me, as a foster parent, I see foster parents that I know or who I can make connections with and no one looks at you when you have a kid throwing a tantrum because they understand why." 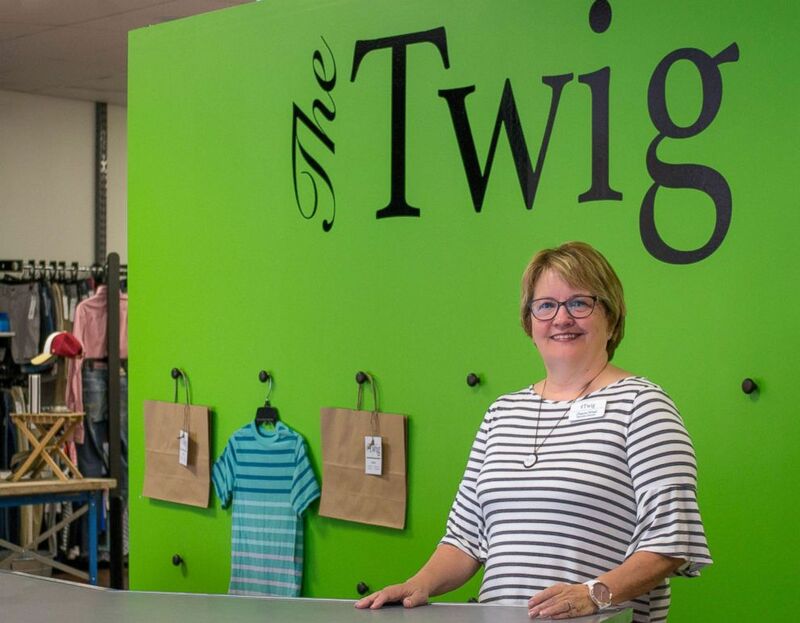 The Twig is a not-for-profit store that runs entirely on monetary donations and donations of new and lightly-used clothing items. The store has grown from hosting eight kids the first Saturday it opened to hosting 150 kids at the most recent Saturday. That means they gave out more than 1,500 items that have to be quickly restocked for the next opening. 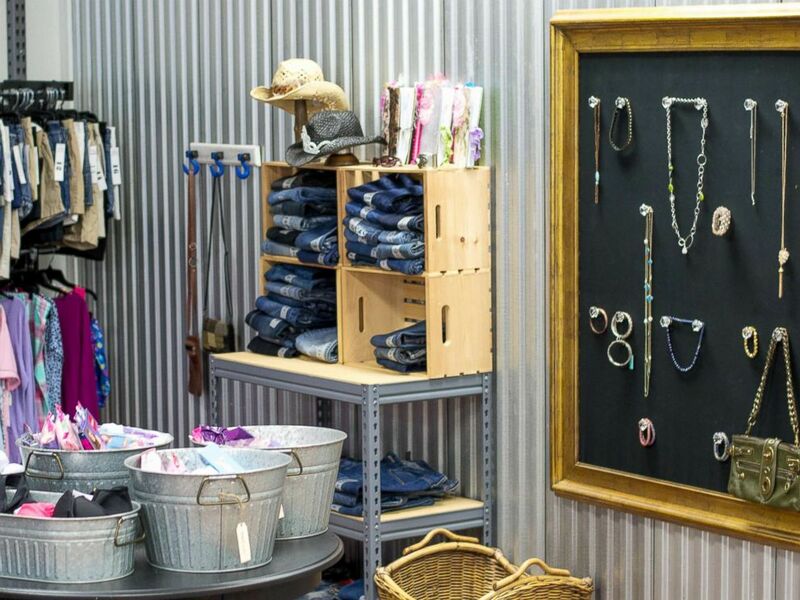 The Twig offers clothes and accessories for kids of all ages. "We ask the kids when they’re in here and shopping about what they’re looking for and take note if there’s something they want that we don’t have to make sure to stock it for the next time," said Nicole Britton, The Twig's director of development and the only full-time employee. "Everything here is meant to make them feel loved." 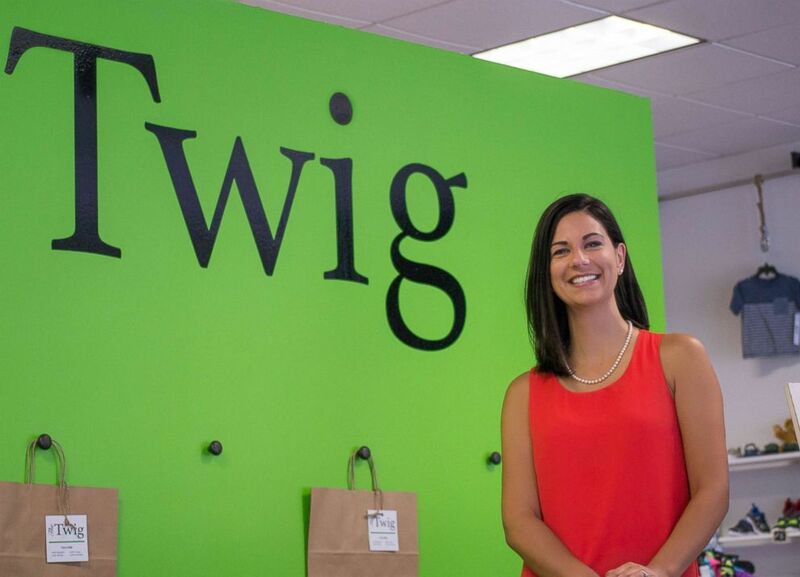 Nicole Britton, development director, is The Twig's only fulltime employee. If a foster parent comes in with a baby, The Twig's volunteers will hold the baby so the foster parent can have time to relax and shop. If a teenager is there to shop, the volunteers are on hand to offer encouragement and praise. "Only 50 percent of children in foster care will graduate from high school, so if we can do something to help them where they fit in with their peers and they’re focused on school and their relationships and not worried about [clothing], it can really make a difference,' Britton said. Britton has been instrumental in creating a mobile unit of The Twig that travels to homes with 10 or more kids in foster care to let the kids shop at home. The unit recently visited a home where 19 teenage boys are being cared for, according to Britton. The number of children in foster care in the United States at the end of the 2016 fiscal year increased to 437,500, according to data from the Department of Health and Human Services (HHS). Weed said she is "always amazed" that more people don't realize how many children there are in foster care, both locally and across the U.S.
"These are kids in your schools and on your playgrounds," she said. "These are our community’s kids." More information on The Twig and how to help kids in foster care is available here.